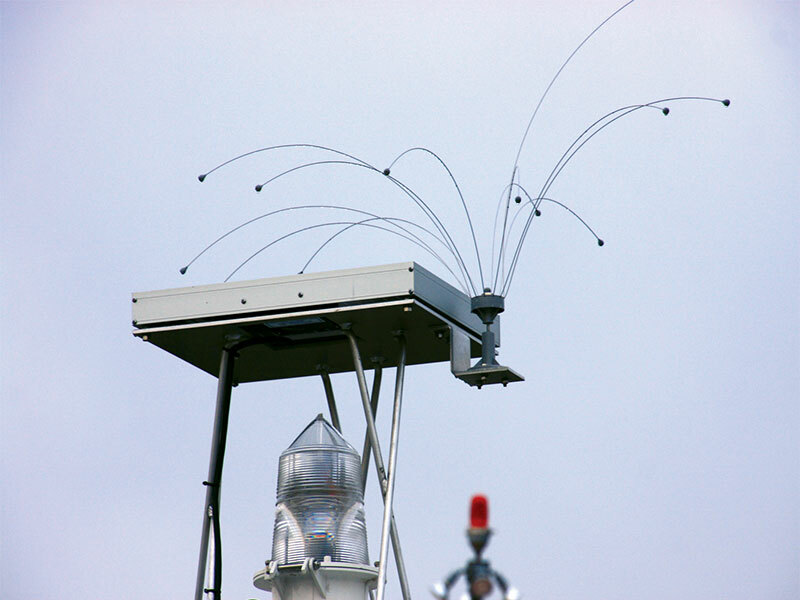 This system has a freely rotating head with long stainless steel wires that bounce in the wind or when birds contact it. This not only irritates the birds, but also interferes with their attempts to land or take off. The device can be screwed in place through the 3 mounting holes. If it is to be glued in place the Plastic Stick-on-Base (DAD005) will be required.